I went to Sydney, Australia last year as part of my honeymoon and it was a long flight but the city is beautiful! Looking back, it feels amazing to know that I was able to see the Opera house in person, both inside and out! The city is pretty small and we only spent two days there so we walked around as much as we could before leaving for New Zealand. The first day there we had beautiful sunny weather but unfortunately my husband wasn't feel so well so we called it a night early. The second day we were there, we had torrential downpours in the early part of the day but we made do with what we had and went on a tour of the Opera house. NO REGRETS! 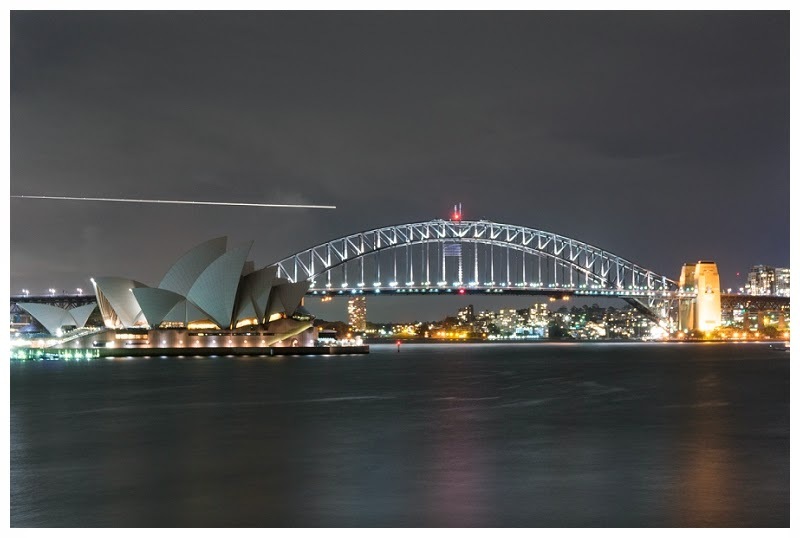 Thankfully the rain cleared up by night time and we were able to capture a night time shot of the Opera house and the harbour bridge at night.